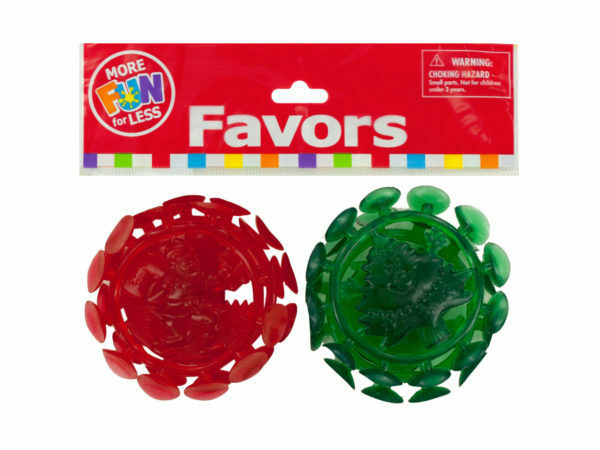 Great for holiday party favors and playtime, this 4-piece Holiday Suction Darts Party Favors Set features green and red holiday theme disks with suction cups around the edges. 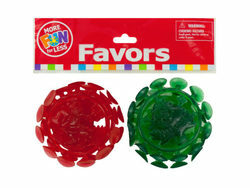 Throw them and try to make them stick to non-porous surfaces. Each dart measures approximately 2.75" in diameter. For ages 3 and up. Comes packaged in a hanging poly bag.